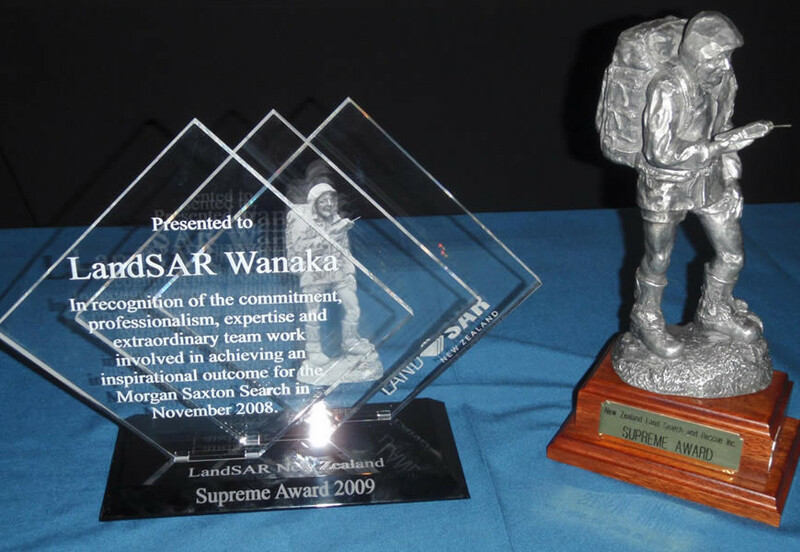 The LandSAR New Zealand national office has a series of annual awards honoring individual contributions. At the top of the tree is the “Supreme Award”. This is not necessarily presented annually, and requires extraordinary skills, commitment and circumstances. Wanaka Search and Rescue is the only organisation in New Zealand to have won it twice, and additionally has won awards from the NZ SAR Council, while individual volunteers have been honoured with bravery awards from the Royal Humane Society.